Why should I enter my postal or zip code of where my gateway is located? Are there any costs or subscription fees to use Neviweb? Neviweb is free to use when you own neviweb compatible devices. Is there an application available for my smartphone or tablet? How do I enable the display of time, date and outside temperature on my Web programmable thermostat? Is it possible to lock the buttons on my Web compatible device? You can lock the buttons on your Web compatible device by activating the keypad lock feature in neviweb®. What is the Early Start feature? How can I program my Web compatible device? What can I do if the light flashes red when trying to connect to the GT125 Web Interface? Why does the indicator light on my switch flashes two times in green or yellow when I press on one of the buttons? What does a green indicator light means? What can I do if the indicator light on my Web programmable light switch is off? Do you have a mobile app for Neviweb? How does the Sinopé water leak detector perceive freezing conditions and send notifications? How often do my devices communicate with each other by radio frequency? I programmed a schedule on each of my devices, but they do not run. What should I do? How can I access a network that has another login name? How can I change my electricity consumption cost ($) so that the graphics of the consumption history reflect my real billing? All my thermostats are named «Thermostat» in my network’s devices list, how can I determine where they are installed? I have changed the display format (temperature / time) in my profile, however my devices are still using the old format. What should I do? Can I print or save my consumption history? What is the Home / Away mode? What happens to the thermostats that are following a schedule, when I place my network in away mode? All thermostat's schedules will be suspended while in away mode. Is Neviweb secure? Can someone hack my devices? What is the connected load that I have to enter in Neviweb? How can I reset the time on my thermostat if the time currently featured is inaccurate? How can I restore the presence of one of my devices on my Neviweb account if it doesn’t appear in the list of my connected devices? A Web compatible device was removed but still shows in my Neviweb account. 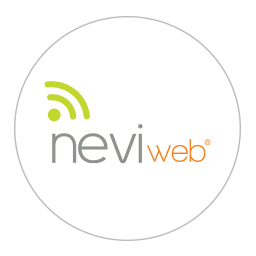 How can I remove it from the list of devices in my neviweb® account? What should I do if after removing a device from my Neviweb network, other devices become inaccessible? I created an account but I did not receive a confirmation e-mail. What should I do? I forgot my password and I was to receive an e-mail to change my password but I have not received it. What should I do? I copied a schedule to another thermostat. The time periods were copied successfully, however the setpoints do not match the source setpoints. What should I do? Make sure that the minimum and maximum settings of the destination thermostat allow the setpoint you wish to copy.